On main roads, parking can usually be moved onto side streets. But some “in-between” roads need to carry heavy traffic (say 10,000 motor-vehicles per day) and provide residential parking. 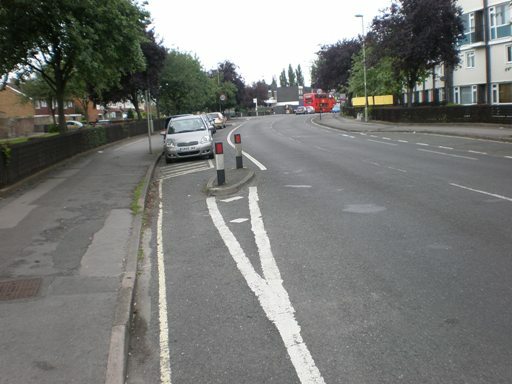 The photo shows an early attempt to provide cycle lanes. It has worked surprisingly well – traffic speeds are reasonable, there is no particular accident problem, and it is used by about 700 people on bikes per day. It could be better – it probably needs more parking restraint in the cycle lanes, a buffer zone between the parking and the cycle lane, and no centre line.